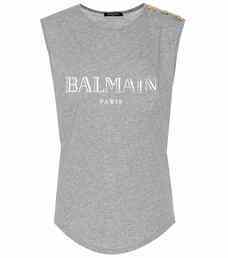 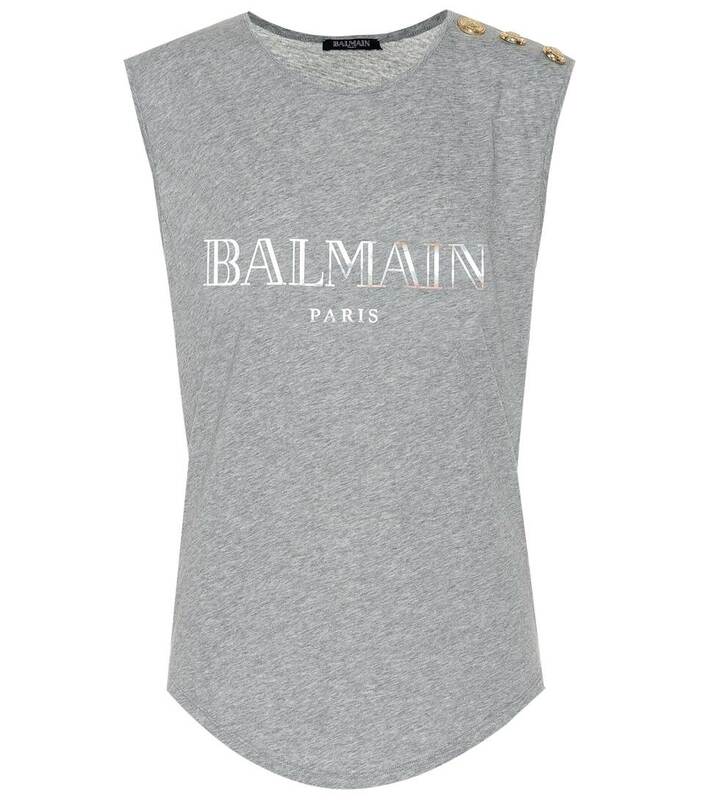 Opt for casual-chic style points while wearing Balmain's sleeveless top, offered here in a classic gray shade. 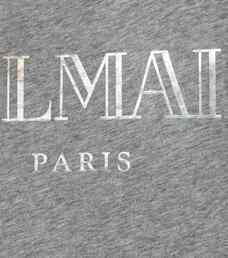 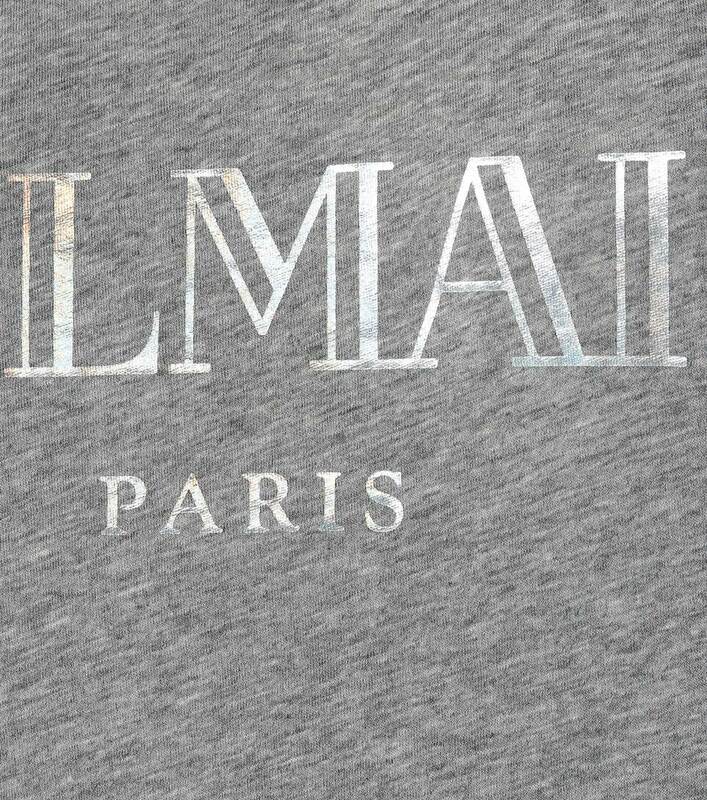 Crafted from comfortable cotton, this design comes printed with the house's name in a shimmering silver hue and finishes with three golden buttons at the left shoulder, which feature the brand's iconic crest. 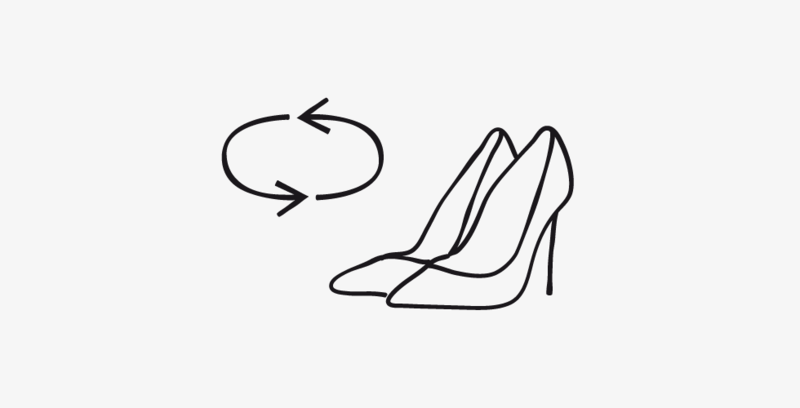 Team this style with skinny denim to achieve the look of an off-duty editor.